LakePoint Sporting Community is conveniently located off Interstate 75 in Emerson, Georgia—just 30 minutes north of Atlanta. With over a million visitors in its first year, LakePoint is quickly becoming one of the world’s largest and most unique destinations for travel sports. In addition to team sports, the destination provides activities for the whole family – including bowling, ziplines, water parks and more. 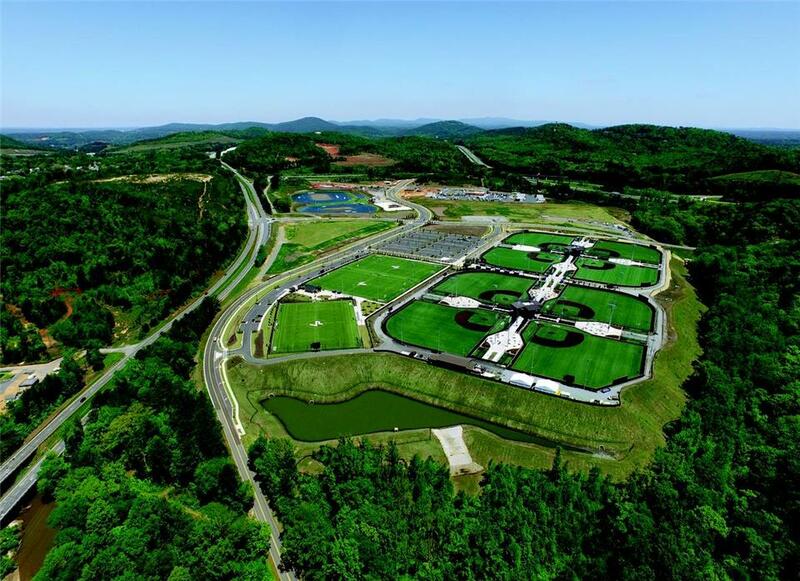 The sports development has more than 1,300 acres nestled in the foothills of the North Georgia Mountains and is adjacent to beautiful Lake Allatoona. Due to the grand nature of the sporting complex, LakePoint needed a storm sewer system capable of handling the excess stormwater runoff from the planned paved streets, parking lots and ball fields. Originally, the project engineer, Doulgerakis Consulting Engineers, considered using a reinforced concrete box (RCB) culvert given the demanding requirements of the site. After consulting with Contech Engineered Solutions, Doulgerakis opted for an ULTRA FLO® Aluminized Steel Type 2 (ALT2), corrugated steel pipe (CSP) storm sewer system – which would not only provide a more economical solution for Lakepoint, but also the increased lay lengths of the CSP sections required fewer joints, resulting in a faster installation. Additionally, the ALT2 is expected to provide a service life in excess of 100 years. The storm sewer system would be installed parallel to the highway, so it was critical that all the structural loading conditions be considered. With support from Contech, Doulgerakis Consulting Engineers designed the system utilizing the appropriate connecting bands, backfill material, compaction requirements and protective coatings to ensure a high quality installation. In total, 2,400 LF of the storm system was installed using ULTRA FLO in diameters ranging from 36-inches to the larger 90-inch section, thus enabling a lower installation cost and a significant reduction in the installation time.